80% of telecom bills contain an error…do yours? A telecom expense audit reveals all expenses that pertain to an organization’s telecom services. It’s an important audit process that companies use to ensure that they are being issued an accurate bill. Similar to expense management, telecom audits can help companies achieve significant cost reductions on several data services. Ultimately, this determines what a company truly should be spending. When a telecom management company runs an expense audit, they are looking for billing errors, misused amounts of data, and other excess charges. It’s amazing to think about all the billing errors that slip through the cracks. On average, more than 80% of telecom bills contain an error each month. When this happens, a telecom audit service is hired to perform an expense audit on all line items, but many often fail to find the underlying issue. In turn, this will only create another month of messes to deal with. Fortunately, the experts at Allnet pledge to help companies get their telecom expenses to an all-time low. As a superior source for telecommunications, it is our mission to help companies save money and maximize all of their telecom solutions. Allnet is a leading managed service provider serving businesses across the nation. With almost 40 years of experience, we are fully capable of serving your business with an optimal solution. You can count on us to provide your telecom system with exceptional care, at an affordable price. If your company is facing any overcharges, then let us know. At Allnet, you’ll get real-time results based on your real-time data. As a top auditing telecom company, we perform regular monthly audits to ensure that your bill is right each time. In addition, we’ll optimize a solution that eliminates overcharges and other types of data abuse. Don’t be a victim of expensive telecom costs. Use a telecom expense management service that you can trust. 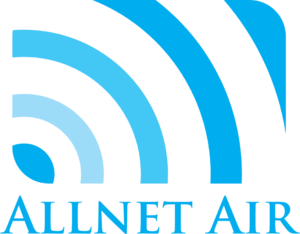 With a professional audit by Allnet, you can expect a solution that will save you money each month. If you’re interested in a solution that will help you save thousands of dollars, then contact one of our experts today. Give us a call at (847) 457-9543 to set up your next audit.